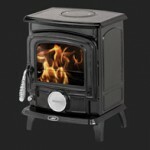 AGA stoves embody the best AGA traditions and employ the very latest technology. The generations of workers who have bestowed their craft, often from father to son, have done so with great care and attention, bringing a sense of pride to each new creation. When you invest in an AGA stove, you are acquiring a piece of history, and a talking point. 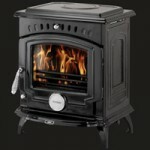 Each model is individually designed, to ensure that the air flows around the stove in the most efficient way possible. 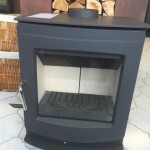 Features include; a chrome iron grate, perfect for burning wood or solid fuel, an interchangeable wood burning plate and stainless steel after burners, to reduce emissions of soot. A primary air inlet valve is fitted as standard on all stoves, so that you can vary the heat output and control running costs. All components are manufactured to the highest technical standards. Each stove is assembled by hand and subjected to a gruelling series of quality control checks, including a visual inspection of the casting, before it is allowed to leave the factory.